We pride ourselves on the opportunities for art and music across the school having been awarded the school Gold award for excellence in music provision. Most recently in October 2018 we were delighted to become a ‘Music Mark School Member’ in recognition of the opportunities offered, teaching provided and achievements of our children. 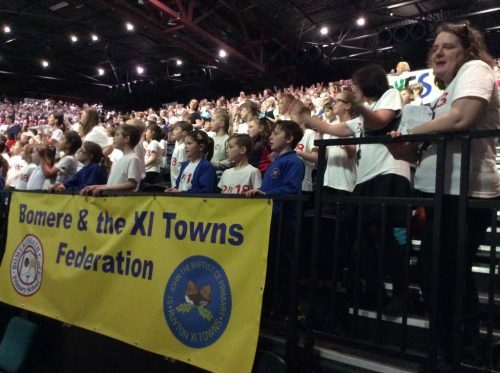 “We would like to thank you for all the hard work you and your colleagues do to ensure that pupils at your school are able to access and engage with a high-quality music education. Your dedication to offering and delivering a broad and balanced curriculum is both welcomed and celebrated. 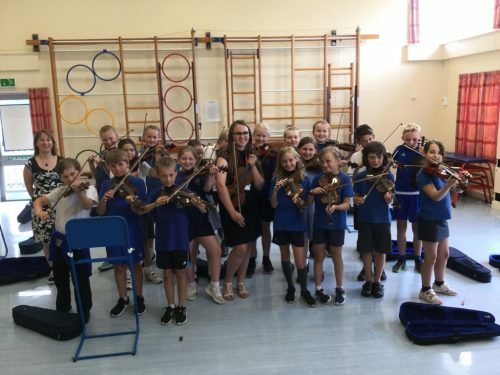 We have also been proud to hear one of our former pupils (age 15) has just been accepted in to the Birmingham Symphony Youth Orchestra; we were delighted when she shared her experience and inspired our pupils via a ‘Violin Masterclass’ during the Summer term. As part of the curriculum, all children receive weekly music lessons from a specialist teacher where they compose their own music using simple percussion instruments and the body. 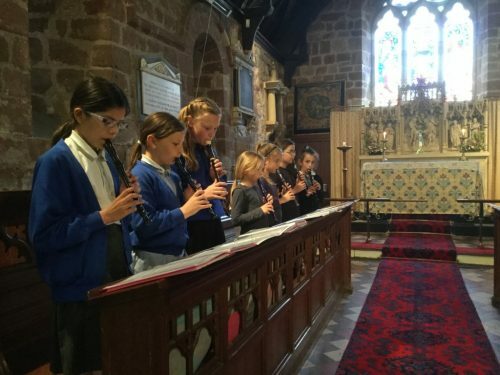 There are regular singing sessions and opportunities to perform musical pieces for a range of audiences including our daily Worship, Church Services, School Productions and our annual School Fete. 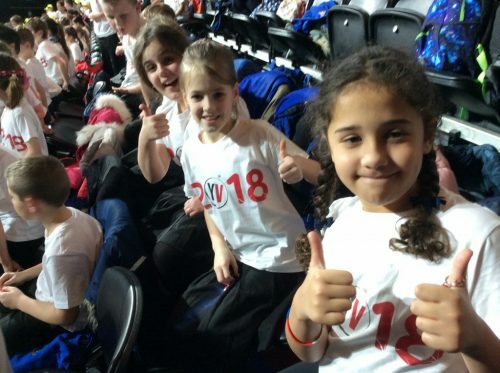 Many children also participate in Young Voices Choir (after school club) and perform in a concert at the Genting Arena, Birmingham with thousands of other children. All pupils in Year 3 learn to play the recorder and in Years 4 and 5 they learn the violin. All pupils in Year 4, 5 and 6 may choose to be included in our Percussion Ensemble; two groups play each week led by Mr Banks, our percussion teacher. The tuition and instruments are provided by the school. Regular concerts and performances give our musicians the opportunity to play to an audience – including the much-loved Mince Pie Concert and the Summer Concert. The recorder ensemble accompanies singing in Worship each day. The creative arts involve imagination and creativity, and include dance, movement and drama, as well as art and music. 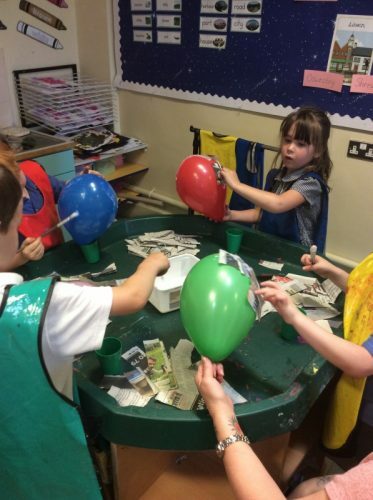 Our curriculum for art includes a wide range of experiences, which are provided using a whole range of materials including observational drawing, colour mixing, painting, collage, model making, sewing and printing. Skills are taught and developed and the children are encouraged to discuss and listen to others, sharing ideas and modifying them in the light of experience, as well as enjoying and appreciating their own and other’s efforts. 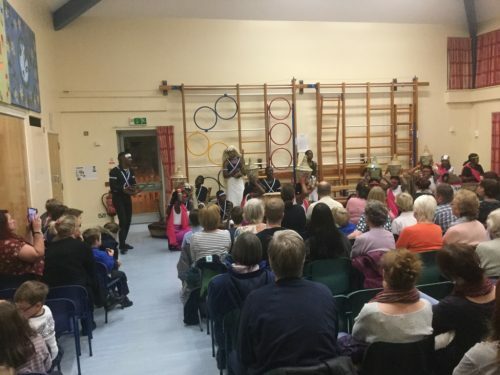 The Pearl of Africa Children’s Choir has been a great highlight over recent years; the Choir spend the day in school, delivering art, craft, music and dance workshops – their energy and talent is always an inspiration which we invite the families and friends of our school to enjoy in the evening. 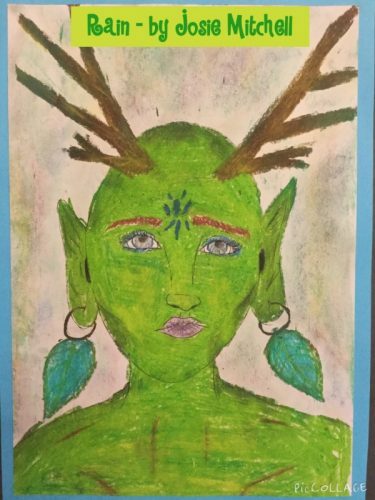 We hold a dedicated Arts Week each year to take the opportunity to share a love of art beyond the curriculum with pupils; many examples of the artwork created can be seen around our school building. 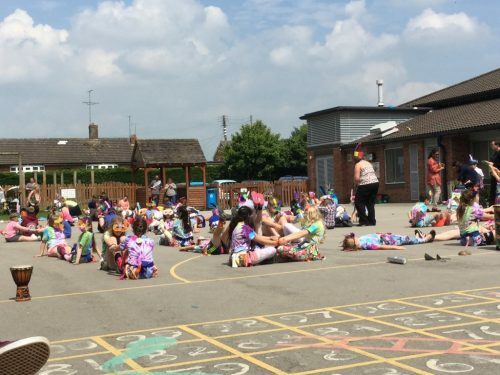 Other events which develop and showcase the children’s artistic skills include the Annual Homegrown Show and also Ruyton’s Got Talent – a KS2 favourite!